It seems the Dutch pirates are already celebrating the festive season. 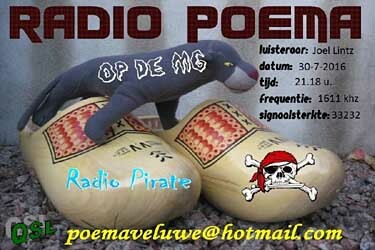 Today I have heard a colossal 26 different MW pirates from right across the Netherlands - that's the biggest haul for some time and it's been great to hear the band so busy. I'm looking forward to tuning around over the next couple of weeks when holiday mode really does kick in. It was very busy on the band today with something to listen to throughout most of the day. It started off when I heard Zwarte Piraat (a new name for me) and Alabama giving a report to Utopia who had been on air with a programme, although I missed that one. Mid-afternoon I heard a weak signal on 1638 kHz, nothing more than a carrier to start with really. 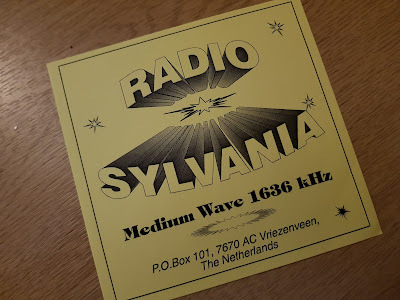 However, I stuck with it and as daylight started to turn into darkness, so the signal improved - and I found out I was listening to my old friend Sylvania, who I have happy memories of visiting on one of my first trips to the Netherlands in the mid-90s. He used to be active a lot at the top of the MW band, often at night, but these days he is not so busy on the air and tends to stick to broadcasts during the daytime, which means catching his signal in England is not so easy. The last time I hear him was February 11, 2016. When Sylvania closed down various stations came up with reports and a hefty QSO developed. First up was Torpedojager and it made a refreshing change to hear him on air outside of his regular Thursday morning slot on 1636 kHz. There was another new name for me later in the day when in response to Noordster asking for a reception report there was a signal on 1623 kHz. I'm pretty sure the name was Kraanvogel. Unfortunately as he was giving his report his signal got hammered by the appearance on 1620 kHz of Weduwe, who was making a rare midweek broadcast. Sunday evenings are usually the time to catch him. It was great to hear Ros Am on 1655 kHz tonight. Like many of the signals I heard today, there was a fair amount of fading at times. However, there was also a perfect peak of the maximum 55555 sinpo which was a pleasure to hear - stable and noise-free reception, just like a local station. Great to catch Eskimo early this morning. It's not often I hear this station, but when I do, it is always way before breakfast - it seems he is a real early bird. Later in the day there were some other rare catches, including Simplex and Uitzendkracht, and it was good to hear Melkbus for the first time in a while. I just managed a little early morning listening today before a family day with lots of pre-Christmas celebrations. Billy De Bluffer was busy on 1620 kHz - a name from the past and a reminder of his regular broadcasts back in the 1990s. Concorde uses only low power - around 40 watts - and the signal today was quite weak here. I'm determined to hear him better though and I'll be gently moving the loop antenna to the optimal position so I can get the best signal possible when I hear him again. Radio Igloo was back on air this evening with a third programme through the transmitter of Bluebird. All music came from Iglooman's native Sweden and was certainly something different to listen to. With Christmas fast approaching and all manner of festive lights and gadgets in the neighbourhood as people - including us - put up their decorations, there are potentially thousands more power supply units within a small radius from here. All that means a possible increase in noise level. And, sure enough, listening over the last few days has been challenging with various new forms of local interference to deal with. Luckily, I've been able to eradicate much of it, but that requires plenty of regular retuning of the noise canceller unit, which can become tiresome after a while. Living in the middle of nowhere is appealing a great deal right now! Anyway, here are some logs from this side, including an interesting in-band catch this morning. I was down with the radios this morning a little later than I had intended but before sunrise. However, I found no pirate activity on the usual frequencies at 1611 kHz and higher, so I checked out 1395 kHz and was pleasantly surprised to hear Energy Power AM coming in from Ireland. It's quite rare that I can hear this station, which broadcasts every weekend from the Emerald Isle but, according to the station's Facebook page, my reception coincides with a new modulation system that was put into operation on Saturday. As I was listening to 1395 kHz this morning I became aware of a second station on the frequency which became clear as Energy faded down from time to time. 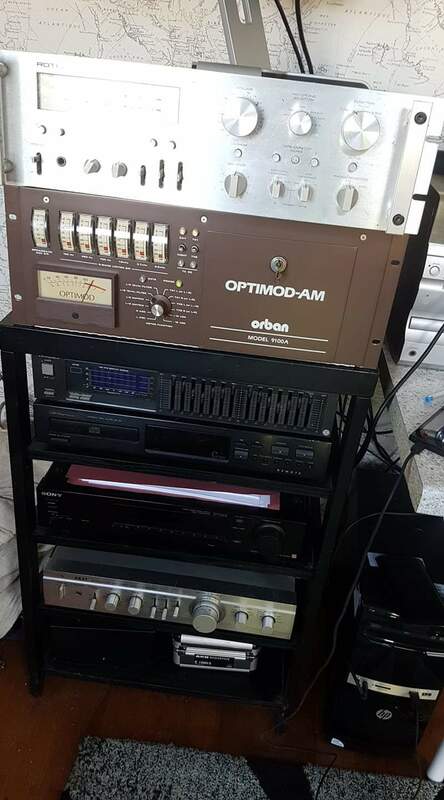 It was Studio Dennaker, one of a handful of legal low-power Dutch stations operating on the frequency - not a pirate but certainly sounding like one! 1620 kHz was a bit of a mess this evening. Daniel en Soto were broadcasting around 1619 kHz - with a carrier very slowly drifting up the band - and had a decent signal into the UK when a big carrier came up alongside them and Weduwe signed on for a lengthy music programme. The two stations were then battling against each other until Weduwe close down at just after 2000, with the result being a rather unlistenable hetrodyne. They could be separated using filters, but it was far from ideal.